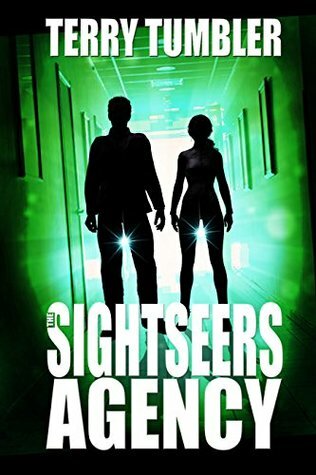 The Sightseers Agency picks up with Richard Pencil leaving the government position he took up at the end of the previous book. With the new world order well underway, the big three-letter agencies are breaking up, and Richard is going back to work with Joe Fraser and the man known as the Inlooker. Richard also has an impressive upgrade to his extra-sensory detective powers. He’s joined by a new remote-viewer, Miss Plum Duff, whose talents were honed by alien intervention. Fraser hires them to launch the the Sightseers Agency, reporting to him and their mysterious benefactor. Their mission is to oversee the behavior of elected officials, and another secret goal is revealed later. Seb Cage, who is now a talented computer security specialist (along with the skills he gained from the Sombrella Syndicate), joins the agency as well. The Sightseers soon discover that the greatest threat to earth isn’t just from rogue officials and politicians, but also hostile aliens who have been planning an attack for some time. Complications arise because some of the aliens on Earth are friendly, while some are more like tourists who take on human form just to experience something different. Ms. Plum Duff comes into her own here, since she, like Seb, has a long history with regard to aliens. Like the previous agency novel, there is an overarching plot that is played out in several different investigations. While the book is described as a series of whodunits set in the future, each case is a link in a chain that ultimately brings conflict on both a personal and global scale. I was glad to see more about the use of psychic mind-reading to ferret out lies and criminal activity, and the manipulation of auras and even the soul itself. There’s also the fascinating angle of this “new world” society, run on a democracy-on-demand system with a goal toward a true meritocracy. 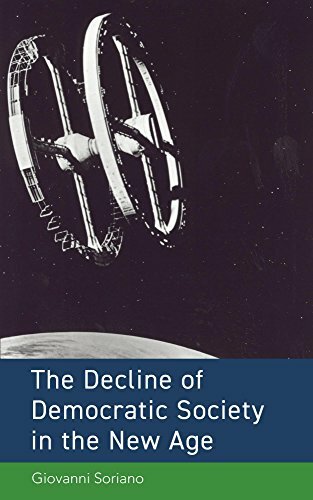 While some of this society’s social practices seem dystopian, others, like the use of Tesla’s wireless transmission of energy, offer a utopia of readily-available power. One of the things I’ve enjoyed throughout the Dreadnaught series is the author’s vivid imagination. His notes at the beginning of the books give real-world tales of psychics and UFO phenomenon that act as the launch pad for his stories. His humor and wordplay are also in full force, with inventive non-cuss words, ribald comedy—especially when it comes to Richard and his Lothario tendencies—and the continued jokes about “potties,” which are ubiquitous self-driving transport pods, giving “on the throne” a whole different meaning. Overall, this series has been fun to read. The major recurring characters are so unique, each with their own set of skills, flaws, and quirks, that it’s a delight to follow them from one adventure to another. The Sightseers Agency ties up a lot of loose ends, answers questions, and ends on a hopeful note and fans of the series will be satisfied by the ending.